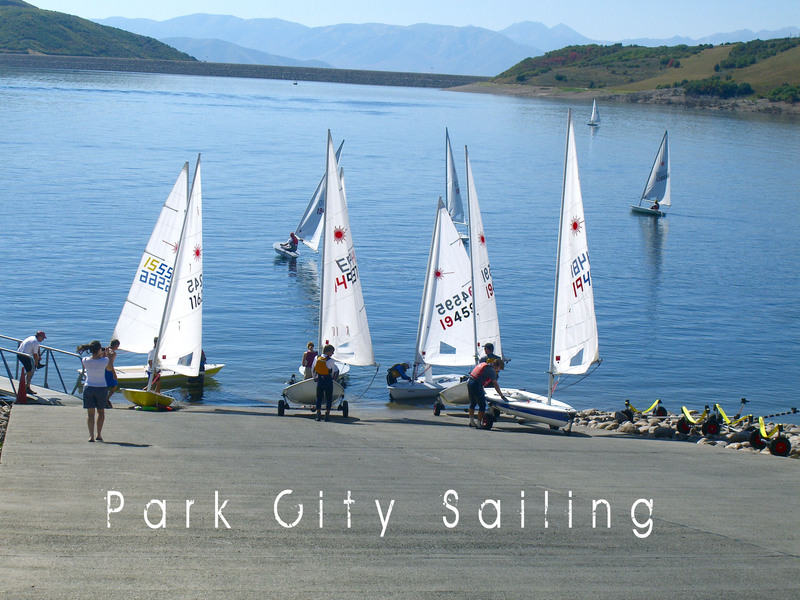 Park City Sailing…What? Yep- we are talking about Park City, UT. As it turns out, Park City is home to lots of true sailors that have turned in their beach front homes for mountain side retreats. With the man-made Jordanelle Reservoir less than twenty minutes away, it was a good excuse for these sailors to get together and start a fleet of what else…lasers. Lasers are name of the game here and since 2009, they have been doing formal Laser races every Tuesday night. We’ve had the pleasure of dropping in on a few of their Tuesday night races and we can say with all honesty…These Guys (and Gals) have skills! It’s really neat to see a whole fleet of lasers out on the water at Sunset, it just gets your heart going doesn’t it? With some impressive credits under their belt, I thought I would put up these videos we have of them for fun. Remember- these videos are from the early days of Get Wet Sailing, and by no means are most impressive work. That’s why I liked to call them “Vintage Videos” They are only 1 min long, so ….enjoy. Gosh, your blog always looks so good! The videos are great!